Facebook CEO Mark Zuckerberg said during his testimony before the U.S. Senate on Tuesday that his company was working with special counsel Robert Mueller's investigation into Russian interference. At first, Zuckerberg said the company had received subpoenas from Mueller's office but then clarified that he actually was not aware of a subpoena. "I believe that there may be, but I know we're working with them," he said in response to questions from Democratic Sen. Patrick Leahy of Vermont. Facebook staffers have been interviewed by Mueller's team, though Zuckerberg said that he had not. He told the senators that he needed to be careful with his answers because the work with the special counsel was confidential. 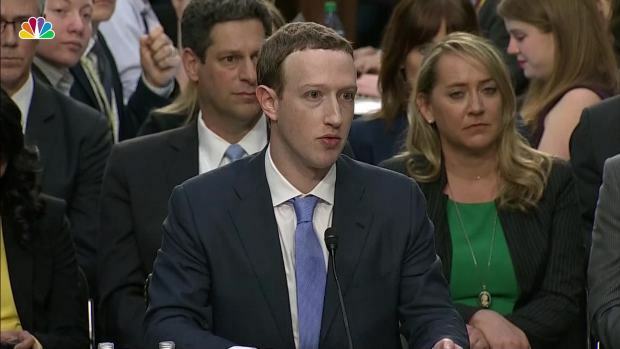 The Facebook founder is appearing before a joint session of the Senate Judiciary and Commerce committees, and will continue testifying before the House on Wednesday. The senators asked him about the scandal surrounding the firm Cambridge Analytica, which obtained the data of 87 million users and tried to influence U.S. elections, and about Russia-linked accounts that spread false information, harmful in particular to former Secretary of State Hillary Clinton in the 2016 presidential election. Here are some of the other top moments from the hearing. A "first" became apparent even before the questioning got underway. The 33-year-old CEO, who created Facebook while still a student at Harvard University, appeared before the senators in a suit and tie rather than his customary attire, a t-shirt or hoodie and jeans. Testimony focused on Facebook's business model, its use of personal data to target advertising and the possibility that it could charge users in lieu of advertising. 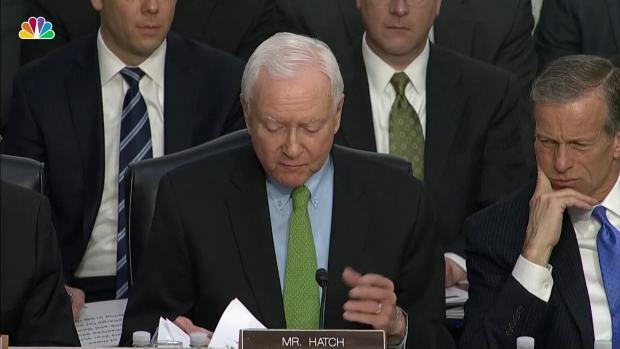 Republican Sen. Orrin Hatch of Utah recalled Zuckerberg's first visit to Capitol Hill in 2010 when he told legislators that Facebook would always be free. Would it remain free, he asked. Zuckerberg, who had been mostly grim faced during the hearing, said that a version would, to which Hatch responded, how could he run a business without charging for it? "Senator, we run ads," Zuckerberg said. Sen. Lindsey Graham, Republican of South Carolina, tried to compare Facebook with the automobile industry, where buyers could purchase one car instead of another. Who was Facebook's competitor? If he was upset with Facebook, what was the equivalent product? Zuckerberg answered with categories of competitors depending on different Facebook services. The average American uses eight different apps, he said. Didn't he think he had a monopoly in Facebook, Graham asked. "It certainly doesn't feel like that to me," Zuckerberg said. Congress Asks: Is Facebook a Monopoly? Does It Need Regulation? Sen. Lindsey Graham asked Facebook CEO Mark Zuckerberg if the company faced legitimate competition or if it was a monopoly. Graham also asked if Zuckerberg would welcome government regulation. 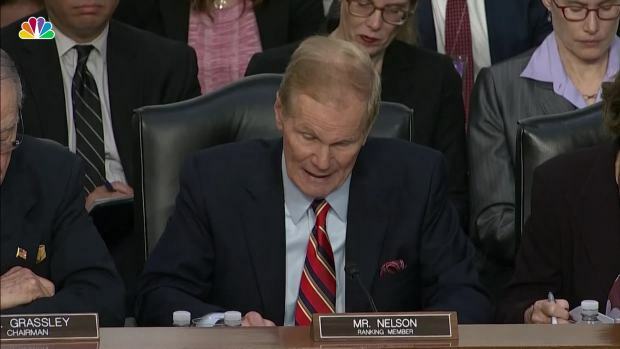 The hearing is focused on breaches of privacy and to drive home his point, Democratic Sen. Richard Durbin of Illinois asked Zuckerberg whether he would be comfortable sharing the name of the hotel he stayed at last night. "No," he answered, and smiled. What about the names of anyone he had messaged in the past week. "I would probably not choose to do that publicly here," Zuckerberg said. Durbin responded: "I think that maybe is what this is all about. Your right to privacy. The limits of your right to privacy and how much you give away in modern America in the name of quote, 'Connecting people around the world.'" Texas Republican Sen. Ted Cruz took a different approach from many of his colleagues when he pressed Zuckerberg about whether conservative and liberal groups were treated the same way on Facebook. Hadn't Facebook blocked pages involving Catholics and supporters of President Donald Trump? Had any pages related to Planned Parenthood been treated that way? Zuckerberg insisted that he was committed to making sure that Facebook was a platform for all ideas, particularly because it was based in left-leaning Silicon Valley. Asked at the end of the testy exchange whether he would like a rest, Zuckerberg laughed and said, "That was pretty good." The hearing took a break anyway.